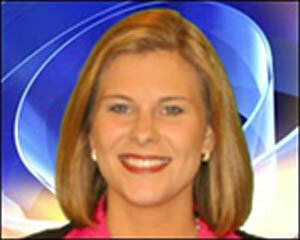 Meredith Taylor joined the WHIO news team in April 2007 as a Reporter and Anchor. Meredith comes to News Center 7 from WRDW-TV in Augusta, Georgia. There she anchored the weekday morning newscasts and reported on a wide variety of stories. Among them, the deadly train derailment in Graniteville, South Carolina, and the death of rock ‘n roll legend James Brown, an Augusta native. Meredith was also co-host of Horsecity.comTV, a national program on the equine industry. Prior to that, Meredith spent two years as an Anchor/Producer at KAVU-TV and KVCT-TV, the ABC and FOX affiliates in Victoria, Texas. While there, Meredith reported on the nation’s deadliest illegal immigrant smuggling operation, as well as Hurricane Claudette. Meredith is from Gilbert, South Carolina. She earned a BA in Communications from Clemson University. While in college, Meredith was a Producer/Reporter for Clemson Cable Network. She has one brother, enjoys working out, and after two years of anchoring a morning newscast, enjoys catching up on her sleep!